Coming back to campus after Thanksgiving may not sound like any fun. However, there is nothing like Christmas music and festive decorations to make the last couple weeks of the semester that much better. 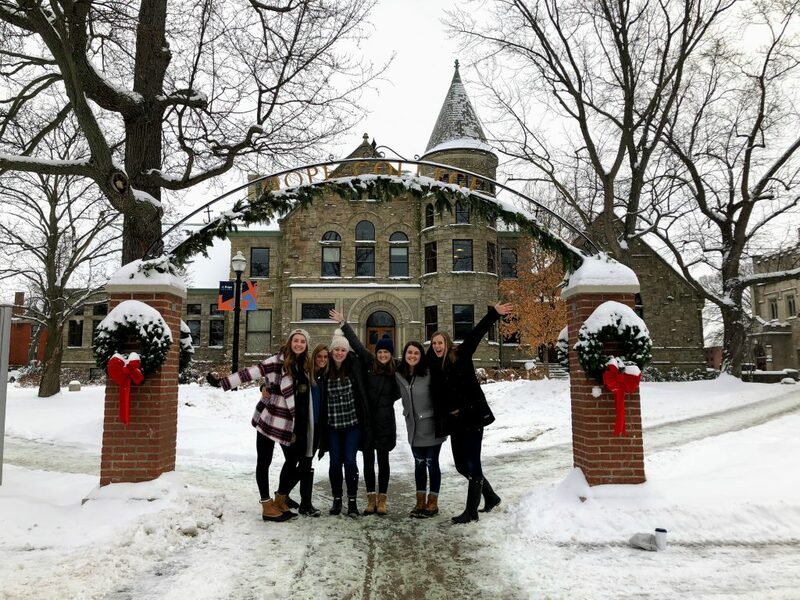 Holland, Michigan, may be well known as a beach town, but there is something so enchanting about 8th Street covered in snow and strung with lights and stockings above the Bultman Student Center fireplace. Every year Student Congress decorates the Bultman Student Center with everything from a 20-foot tree to poinsettias and lights. The dining halls are always festive and Phelps has one of the best Christmas playlists out there. When President John Knapp and Mrs. Kelly Knapp were at Hope they planted a Christmas tree right next to the President’s House. 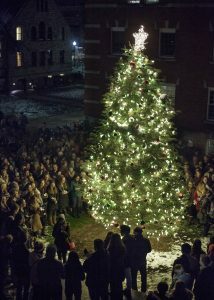 Every year since, our campus has come together the week after Thanksgiving for the Annual Christmas Tree Lighting. This year was the President’s Sixth Annual Christmas Tree Lighting. The campus gathered around the tree and we counted down for the tree to light up. With a beautifully lit tree, we sing Christmas carols led by the President. When Betty Voskuil moved into the President’s House, she wanted to continue the longtime tradition of setting up luminaries along the sidewalk of her house on Christmas. She then thought it would be even more beautiful to place the luminaries along the sidewalk through the Pine Grove. After we lit the tree at the President’s House, all the students walked through the luminaries to the Bultman Student Center. In recent years we have decorated Santa cookies in the Bultman Student Center while Christmas hits blast through the speakers. This year, we took it to the next level and combined the Tree Lighting with the weekly SAC Coffeehouse for a Christmas-themed Coffeehouse. There were three different performers but one of the most memorable was President Voskuil opening up the Christmas Karaoke with Jingle Bells. 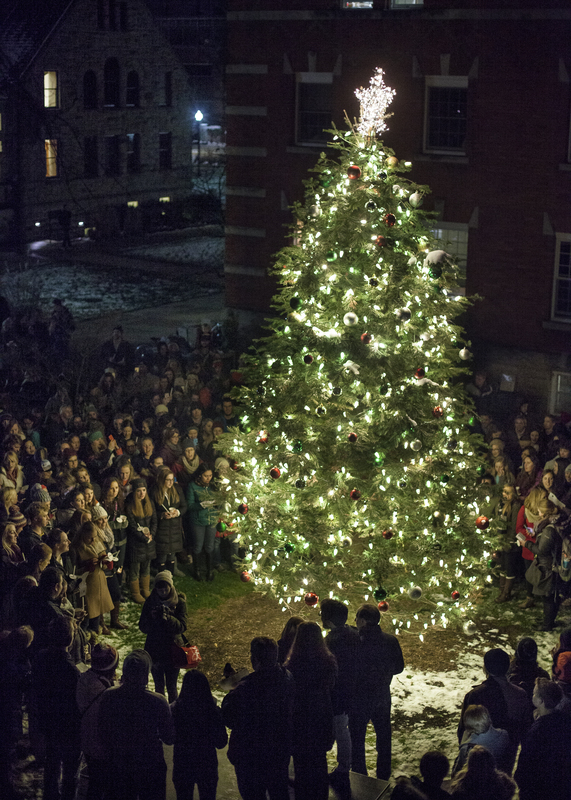 The whole afternoon is such a fun study break for students to gather and celebrate the holiday season, but the Christmas Tree Lighting is just one of the many festivities around campus this time of year. Dykstra Hall, for years, has a decorating contest that completely transforms the residential hall. You will never see anything like it. 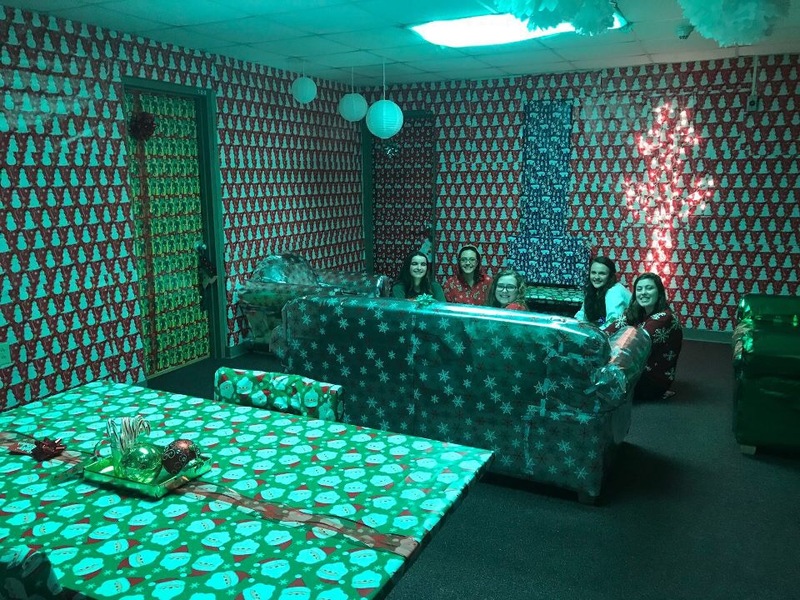 I’ve seen everything from a full reenactment of the movie Elf to the entire cluster wrapped in wrapping paper. Dykstra Cluster 1-2 completely wrapped in wrapping paper. I could go on and on about the Holland Parade of Lights or all of Durfee Hall singing Christmas Carols in the alleyway between Dykstra and Gilmore. All of these traditions make Hope that much more like home during the holidays.